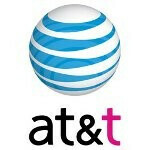 AT&T seems to have hit another wall in their attempt to purchase T-Mobile USA, this time because they can’t seem to work out a deal that would sell off some of the assets they would acquire in the purchase. Divesting assets that they would have acquired in a T-Mobile deal was AT&T’s last big play in a battle against the Department of Justice which has been against the buyout since day one. While it is still possible AT&T could find a suitor, all talks with other companies to this point have died out. Previously AT&T had engaged in discussions with Cricket owner Leap Wireless, but no deal was even reached and those conversations appear to have ended. The assets up for grabs of course would be some of the spectrum that AT&T would acquire in the purchase. According to sources speaking to the Wall Street Journal, any divesting of assets to another telecommunications company probably wouldn’t have been enough to change the Department of Justice’s mind anyway. They also go on to say that AT&T could pursue more of a joint-venture with T-Mobile rather than a buyout if the sale is to fall through completely, which is looking more and more likely every day. Barring a major company surfacing with interest in taking of T-Mobile’s assets off of AT&T’s hands, at this point it is hard to see how AT&T can successfully buy T-Mobile. As to what we can all expect should an AT&T/T-Mobile joint-venture be the final outcome, only time will tell. awww poor ATT cant find buyers to help them screw over the people of america. Im crying such tears of pain for you ATT. How about you just give up, cut your losses, and start putting more money into LTE so that people can actually talk on your network. I am glad that no other carrier has agreed to buy any of T-Mobiles assets. AT&T is trying to make it difficult for America's cell phone carriers to conduct business and stay open. AT&T is valued at 162 billion dollars. They can use their own money, profits and resources to fix their broken network. Sprint is doing it by using their own cash and raising financing for their Network Vision buildout. If Sprint can do it so can "rich" AT&T. Helping Ma Bell will ultimately change the game of the cellular telephone industry. In turn it would favor AT&T and Verizon. Two companies that are doing quite well along with Apple. My question to AT&T: How much richer do you need to be? Why not fix that overcapacitated network of yours first before you start cleaning out the rest of Americas wallets and purses. I didn't know that all of America's money belongs to you Verizon and Apple!!! You better believe when Romney becomes President that AT&T is going to run to the FCC lock, stock and barrel with a new application. Their Republican friends, cronies and goons will be back in power. They will be doling out tax cuts, favors and create all kinds of unfair legislation for their rich companies and friends. Stay tuned America!!! Romney is not winning bro. If anything paul will get the Nom for the Rep. Romney is slow screwing up and getting owned. lol, Romney will be the nominee, like it or not. Newt has too much baggage to make it out of the primarys in first place and Paul scares too many people on his forign policy talks. If paul could reign in some of his crazier views he would have a real shot at it. I was all for Cain until he bowed out due to his affairs. Not a fan of Newt and his baggage. Romney will be crowned but Paul would be interesting. Then again, stodgy grandpa up against "cool" Obama doesnt help. Most people have no idea what a candidate stands for, they just go for whoever their friends think is cool. Right now Id give Romney a 60% chance of winning everything, but he really needs to pull away from the pack better, instead of letting them all fight each other. if the "tea partiers" were ok with the adultery, Cain would still be in the race. He was still the best economic candidate other than Paul but he is too insane. The hypocrisy always makes me mad. We reelected clinton after his Oral Office affairs, but want to hold up pre-election candidates to impossible standards. They are politicians.. they are going to have a certain amount of slime on them. If candidates on both sides would stop bowing to the lunatics on the far left and far right in the primaries we would be much better off as a country. Thats how we ended up with idiots like obama in the first place. We let the lunatics pick our candidates. But regardless, barring all that, Mittens is the conclusion. When it gets down to just Romney and Newt, Newt has way too much baggage and way too many liberal republican debacles like that whole "cap n trade" add with Pelosi to be the final candidate. Best he can hope for is VP, and im still hoping Cain makes it back for VP, but I doubt that very much. When it becomes a national stage debate, the republican broad voters will pick romney. The base may not like him, but the base loses their voice when they get beyond the primaries..
My recollection is that the tea partiers had no issues with the Hermanator's adultery/sexual assault issues. It was his wife who had problems with the adultery/sexual assault issues.